Book launch organized by RCINY. The anthology represents a joint effort to bring one of the most significant recent Eastern European literary phenomena – Romanian post-communist poetry – to U.S. readers. 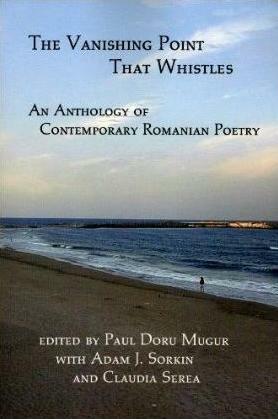 Published by Talisman House, with funding from RCI’s Translation and Publication Support Program, the anthology coordinated by Doru Paul Mugur gathers more than 40 contemporary Romanian poets. With this new anthology, Talisman House continues in 2012 its line of publishing Romanian authors in translation. The poetry included in this volume reflects the alienation and the crisis of communication brought by the so-called “transition” period of the last twenty years in Romania from the beginning of the post-communist period in 1990 to the close of the first decade of the twenty-first century. This twenty-year span was defined not only by uncertainty and fears, social inequities and misery, but also by both an enthusiasm and a hope for the future that the recent inclusion of Romania in the European Union made real. The Poets: Cristian Popescu, Ioan Es. Pop, Mihail Gălăţanu, Daniel Bănulescu, Floarea Ţuţuianu, Radu Andriescu, Simona Popescu, Emilian Galaicu-Păun, Ruxandra Cesereanu, O. Nimigean, Constantin Acosmei, Nicolae Coande, Mihai Ignat, Marius Ianuş, Dumitru Crudu, Adina Dabija, Ştefan Bălan, Teodor Dună, Ruxandra Novac, Mugur Grosu, George Vasilievici, Ioana Nicolaie, Radu Vancu, Andrei Peniuc, Dan Sociu, Adrian Urmanov, Răzvan Ţupa, Claudiu Komartin, Elena Vlădăreanu, Dan Coman, Miruna Vlada, V. Leac, Svetlana Cârstean, T.S. Khasis, Gabi Eftimie, Marius Conkan, Andrei Gamarţ, Michel Martin, Aida Hancer, Anonymous. Most of the translations were prepared specifically for this edition by Adam J. Sorkin and Claudia Serea, with biographical notes and essays by the authors, Adam J. Sorkin and Mona Momescu. Collaborative translations are by Adam J. Sorkin and Radu Andriescu, Ştefan Bălan, Cristina Cîrstea, Gabi Eftimie, Mihail Gălăţanu, Irma Giannetti, Mugur Grosu, Petru Iamandi, Ioana Ieronim, Claudiu Komartin, Michel Martin, Alina Miron, David Morley, Paul Doru Mugur, Roxana Muscă, Mihaela Niţă, Alina Savin, Dan Sociu , Saviana Stănescu, Bogdan Ştefănescu, Aura Ţeudan, Răzvan Ţupa, Adrian Urmanov, Radu Vancu, Lidia Vianu, Oana Zamfirache.